-Material: Superior Quality 280GSM Cotton fabric with 3 Layer Mesh: Inner Rubberized layer, and 2 Outer layers – in woven mesh. -Hood type: Round hood/ Fencing veil. The Hood features lining with internal reinforcements that retards early wear and tear. 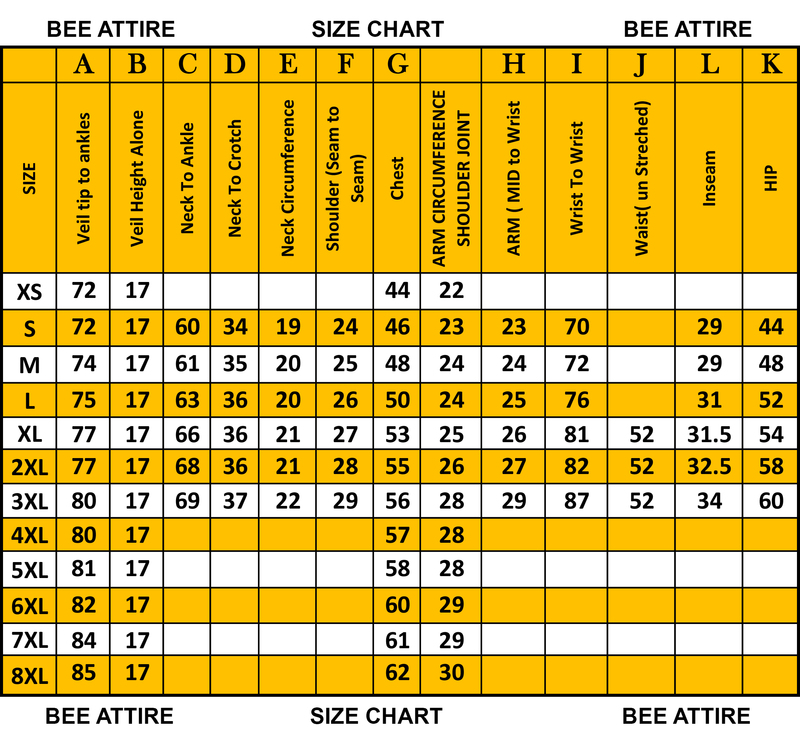 -Pockets: 3 in number, one chest, and 2 on stomach that has enough space to easily accommodate hive tools. -Features high quality YKK Zippers with D rings. 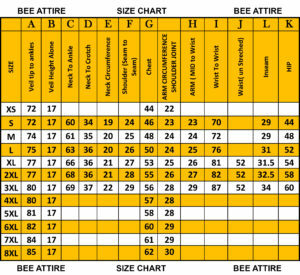 -Elastic on waist area for giving shape. -Hood zippers come with Velco covers for additional protection. Bee Attire has taken care of your beekeeping requirements even for warm climate. 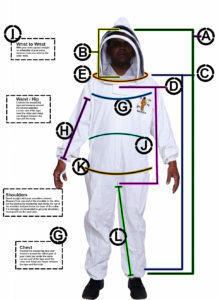 The Bee Attire Beekeeping Ventilated Bee Jacket is extremely functional, protective and comfortable when handling bees. 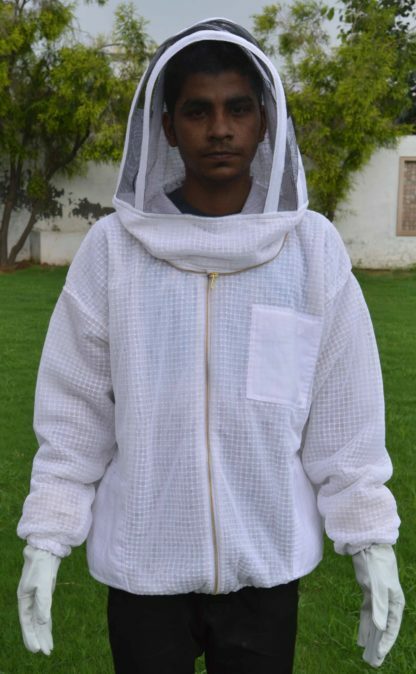 It is stitched in such a way so as to allow the wearer comfort in all beekeeping activity, even in hot summer. It is woven out of 3 layer mesh, with inner rubberized layer to offer guaranteed protection against angry bee stings. 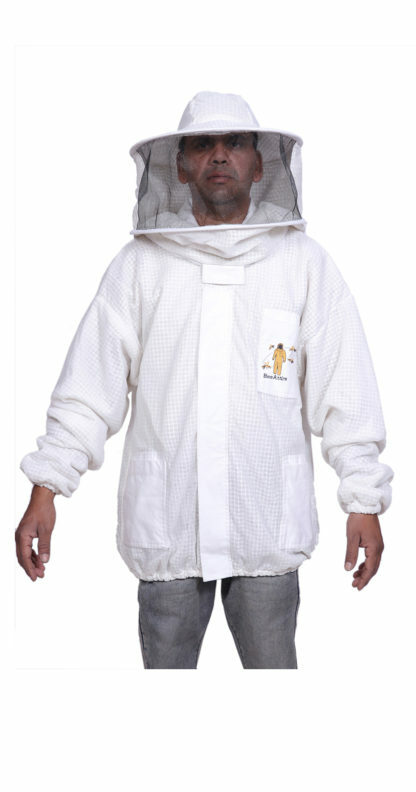 Its breathable mesh fabric means it can be used for longer duration. 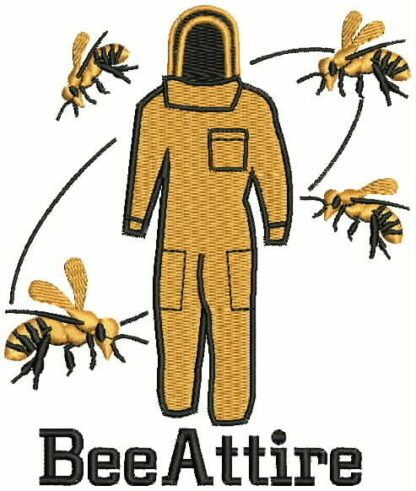 The elastic loops offer extra-protection by not allowing any space for bees to enter accidentally and create problems for the wearer. The Hood is stitched with lining with internal reinforcements that make it durable and long lasting. 3 sets of deep pockets offer sufficient space to keep your tools within easy reach. 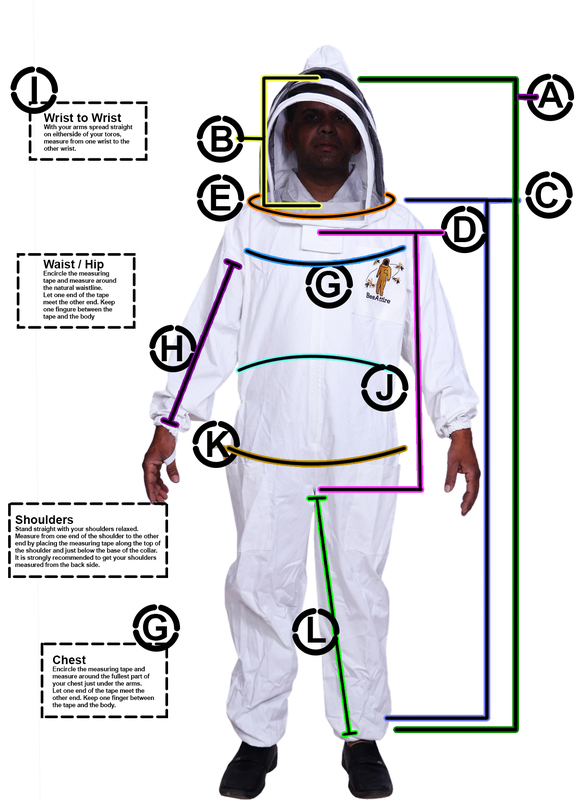 It comes elasticized at the wrists to dissuade any bees from entering into the jacket. The hood features two way YKK zippers which are superior quality, durable and allow the hood to be detached from the jacket. If the wearer so desires, the hood can also be hung back without full detachment from jacket. 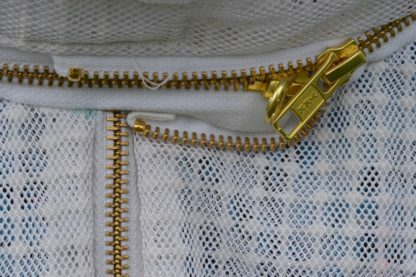 Zippers come with D rings which allow the jacket to be paired with further protective gear such as leather gloves. The jacket is tailored to perfection with a comfortable shape and is a high quality purchase for beekeepers.